To get an ebook cover, there are three options, each with its pros and cons. I will discuss them below. If you are simply looking for a ready-made cover, please visit my ready-made covers sections for fiction and non-fiction, or read the requirements for custom orders. 1. Do it yourself. To make an attractive book cover you would need a graphics program like Adobe Photoshop, GIMP or Microsoft Publisher. You cannot make a very professional ebook cover in Microsoft Word alone. If you are a skilled Indie author – this is great – as you know the content of your book the best, and will know which ebook cover design best expresses its theme and mood. But please be aware that buyers are not likely to click on an amateur-looking ebook cover design. It gives the impression that the content is also substandard. Make sure you don’t have those odd white or transparent lines in places around an image if you cut or extract it to combine it with another, and that the images you combine have the same resolution so one doesn’t look fuzzy. Sometimes you also need to change the shading (colour gradient) of images so that they match better. In a final composition there would be many other considerations too – such as how the lighting and hue blends in with the background. 2. Hire a digital artist that designs an original image from scratch, someone who actually draws the characters. This may be useful especially for science fiction or epic fantasy where you have a character or world that you created, and that cannot be depicted by stock photo images. Specialised ebook cover designers like these charge from $600 and upwards, with a really good one probably charging around $2500 or so. If this is beyond your budged as an Indie author, perhaps choose a general landscape or some other element from your novel and use stock photos to create an ebook cover design that may not be depicting your main characters, but that still adequately portrays your ebook theme. Sometimes a single object conveys meaning more powerfully than a character image. My advice is do a search on Amazon and look at other ebook covers that fall in your genre. What do they look like? Try to get something similar. Search for Graphic Artists that do book covers on the web and check whether they do original art. Also, if you search for stock images before writing the book – you may be able to adjust your writing to fit the images and thus end up with a cheaper option that fits your book perfectly! 3. Use an artist that does digital rendering and ebook cover design with stock images. There are millions of images by professional photographers and artists available as stock images that can be purchased and combined to create a stunning ebook cover design. It sounds easy but it takes quite a bit of time actually – to choose the images, play around with layout, combine them successfully so that it doesn’t look like images were crudely slapped together; add other creative elements such as borders, fonts, gradients, textures, styles, patterns and manipulate it all so that the result looks harmonious and balanced. Even the fonts must fit and harmonise with the image. Often the colour gradient is changed too. This is the process that is followed on this website. It is known as photo manipulation or digital rendering. It is affordable to Indie authors, much faster than getting an original graphic artwork drawn from scratch, and it is the method most Indie authors employ for their ebook covers. It is also the most popular style for ebook covers as it involves using photographs and it looks realistic. The hand-drawn style is only used for certain genres anyway – for certain SciFi books, childrens’ books and Epic Fantasy. For all types of romance books, paranormal romance, erotica as well as thrillers and non-fiction, realistic photograhic-style covers are more popular. And remember! Ebook cover design is different from paperback book design. An ebook cover needs to look good in thumbnail size, as that is the size a prospective buyer will first see the cover in on ebook websites. The ebook cover design also needs to look good in larger size, as the customer may eventually zoom in on the image. That’s quite a challenge! To get an ebook cover design to look great in both sizes. Usually it works well if there is either at least one clear bold image as part of the design, or alternately if the title is very bold and clear. Genre plays a role. Romance ebook covers attract by their images, whereas non-fiction ebook covers often attract by their title and bold letters or a single object. On this website you will find pre-made ebook cover designs in various categories. 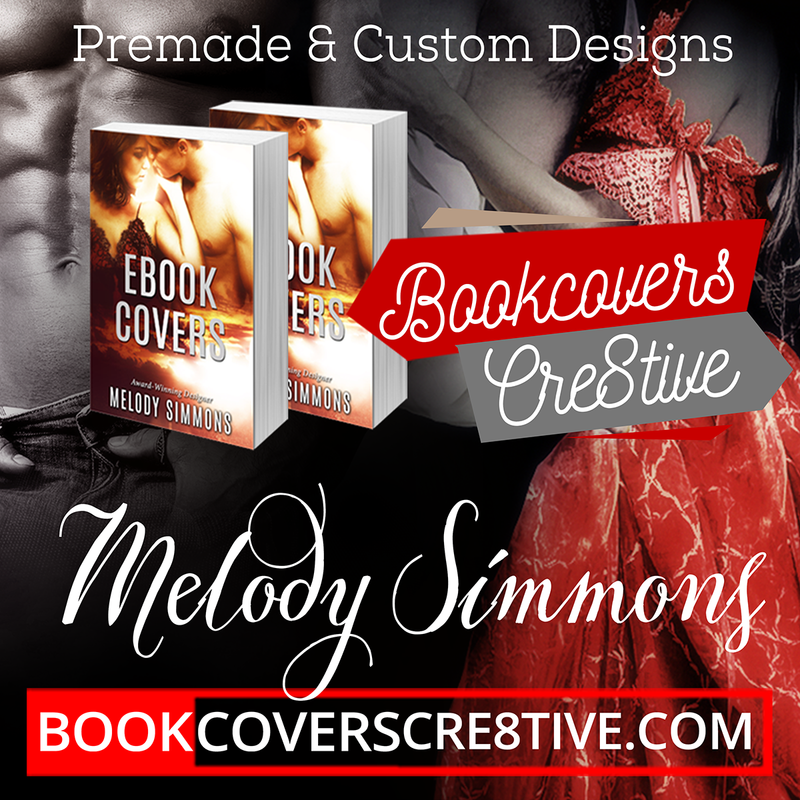 Have a look at the Premade Covers section for ready-made covers that are affordable and professional. For Custom Orders and other Services, please refer to my Pricing/Process page or view samples of my work in my Portfolio.